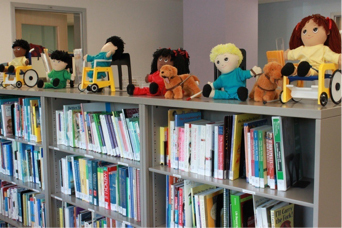 The SSCY Family Resource Centre offers families many different resources, such as books, videos, newsletters, and adapted toys. It is located in The Square on the main floor of SSCY Centre. You may contact the Family Resource Centre at (204) 258-6533. Funding for the SSCY Family Resource Centre is from the Khartum Ladies Auxiliary and the Children’s Rehabilitation Foundation. Click here to learn more and see all of our resources.